The new electric Hispano-Suiza Carmen is already being announced in the Spanish press, it will be a bombshell at the 2019 Geneva Motor Show which opens its doors on 7 March. But he won&apos;t be alone. It seems that companies now, and to give more emphasis to the future of electric cars, are rushing to present super-super fully electric cars, as will also be present the latest creation called Pininfarina Battista, among others. Which of these creations will attract the most attention? For us, the normal people, it will be the same, we don&apos;t need powerful superbolides and supercars, that only a few people will take them to their garages, and who knows if they will drive them once. But, what will attract more attention? The name Hispano-Suiza, mythical no doubt, but too long unused, or Pininfarina, the Italian bodybuilder par excellence, but also come to less in recent years. New times are coming, and we will see how many new brands there will be in the future, how many old brands will disappear, and how many will be reborn. This will undoubtedly be interesting. Hispano-Suiza has to rewrite its history better, at least as far as its forerunners are concerned. It emphasizes its electric bus De La Cuadra that left 119 years ago, to be presented at Barcelona in August 1900, and that, contrary to what is told in the annals of its history, was not a failure, but a success in its second presentation, as confirmed by the references found in the local chronicle of the newspaper La Dinastia and in the specialized magazine Industría e Invenciones, both from 1900. A well told story can be worth a lot today! From the Pininfarina Battista we already know some details, 1900 hp of power, 2300 NM of torque and less than two seconds of 0-100 km / h in electric. 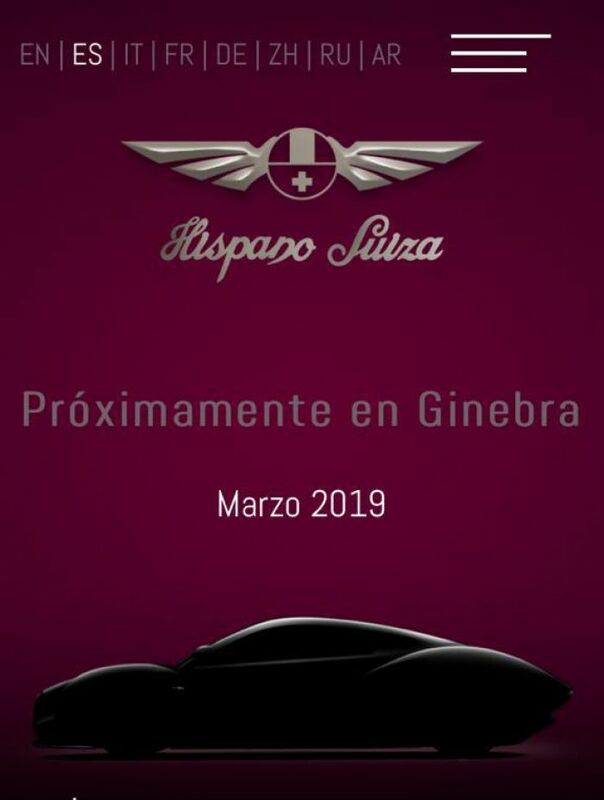 From Hispano-Suiza we are still waiting for more details.